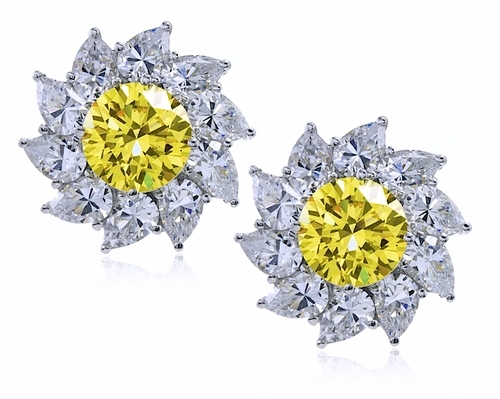 Our Cambridge 3 Carat Canary Round Cubic Zirconia Pear Cluster Earrings feature a sparkling simulated canary yellow round center. 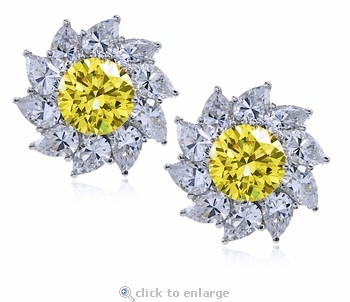 A cluster of .50 carat 6x4mm pear cubic zirconia beautifully enhance each 3 carat 9.5mm canary round cubic zirconia. Our Russian formula cubic zirconia is hand cut and hand polished to exact diamond specifications and include a lifetime warranty. 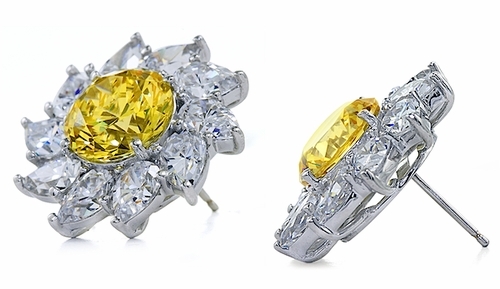 Choose from 14k white gold or 14k yellow gold with standard push backs or upgrade to large backs for added comfort and security. Please see the pull down menu for options. 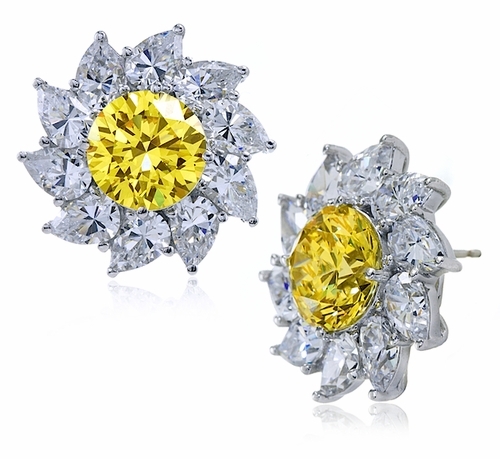 Both earrings include approximately 16 carats in total carat weight and measures approximately 20mm in diameter. For further assistance, please contact us directly at 1-866-942-6663 or visit us via live chat and speak with a knowledgeable representative.